I never needed community until motherhood and entrepreneurship. Or perhaps the more accurate statement is: I always had community until motherhood and entrepreneurship, so I never knew I needed it. After the birth of my daughter, I quit my 9 to 5 and established my copywriting business. 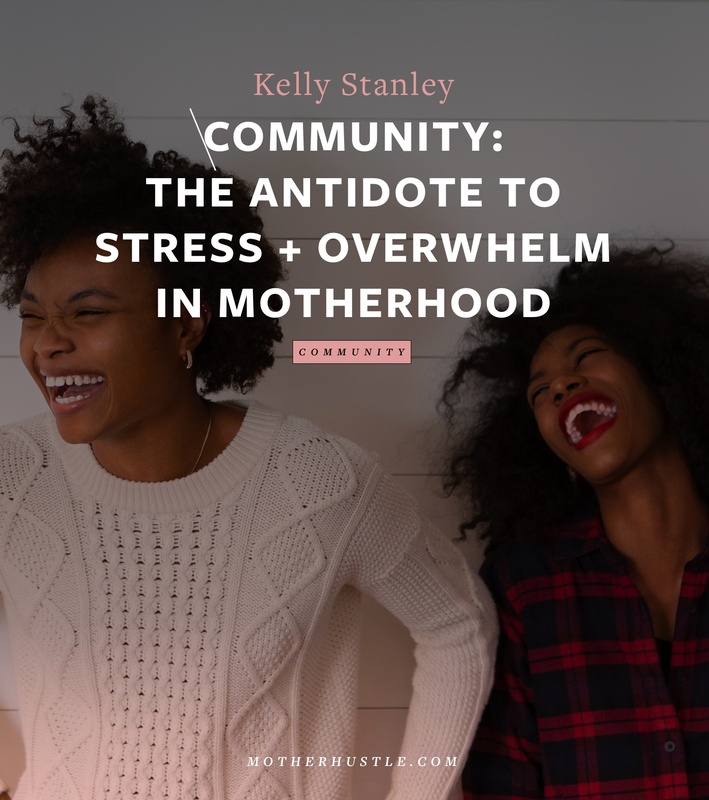 I was so focused on being successful as a mom and as a writer that it took me a long time to realize I was missing community; those daily connections with people who become part of the landscape of your life. I didn’t realize how much it mattered until I didn’t have it anymore. Throughout my life, I’ve never been much of a “joiner”. I never feel compelled to sign up for committees or join teams or be part of a group. I’ve always been totally fine with this — it fits both my independence and my introverted nature. But there’s this thing that’s changed: I feel how deeply I crave connection and how much I identify with certain groups: Moms. Women. Creatives. Spiritual seekers. It’s become clear to me that as strong as we are, we’re never as strong alone as we are together. I realize that I need to be part of these communities, and it isn’t so much about “joining” something as it is finding something. When my life no longer supplied me with the communities I needed, I had to extend myself to find them. Over the past five years of motherhood and business, I’ve joined groups, attended events, signed up for group coaching programs, gone on retreats and cultivated new and old relationships (plus let some go). 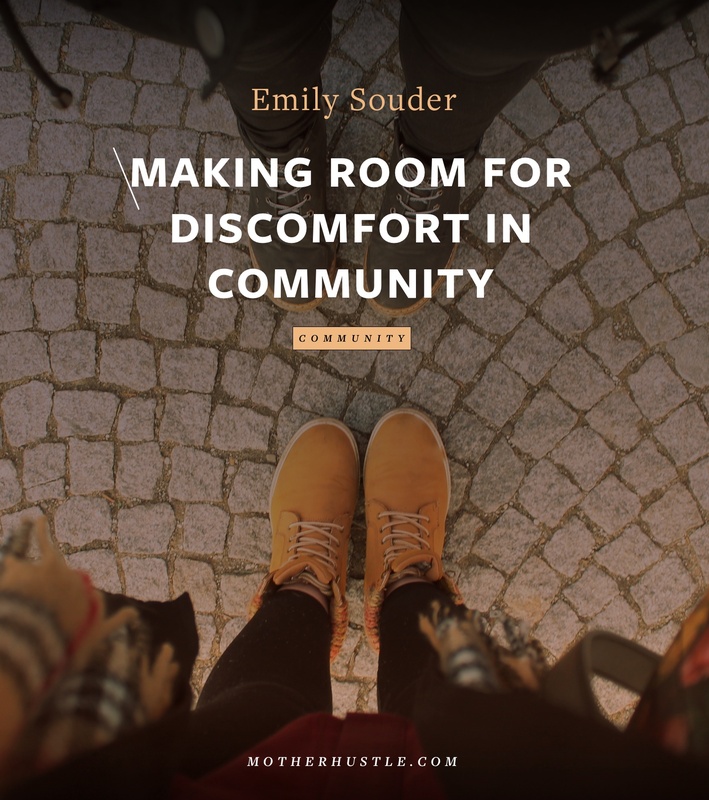 Communities can both extend us and isolate us. They extend us because there’s power in collective thought. There’s comfort in knowing that you’re understood. There’s magic in collaboration, and compassion, and kindness. They isolate us because they cause us to forget that we’re even part of a community. We start to think that everyone thinks like us, cares about what we care about, views things in the same way. The same force that lifts us up can begin to keep us stuck. Communities can both ignite our drive and dampen it. When we’re surrounded by people who get it and who believe in us, we feel unstoppable. When we spend too much time looking at what all the fabulous people in our community are doing, it can stop us from taking our own action (and even worse, we can start to feel unworthy). Communities can provide the resources we need to succeed or leave us lost. When our communities are made up of meaningful personal relationships with people, we gain access to connections, we build confidence, we have a sounding board, we go further. When our communities are made up of virtual relationships that don’t extend beyond Twitter shares, Instagram hearts, and comments in Facebook groups, we eventually realize the community we thought we had is actually at the mercy of an algorithm and is missing soul and real-life meaning. Meaningful relationships can vary but they have one thing in common: they’re supportive. That doesn’t mean you’ll always agree, but it means that you always know the other person has your best interests at heart (none of that catty high school stuff). My personal litmus test for this type of relationship: Could I send a random text to this person about work/motherhood/life and know they will totally get it/give advice/laugh with me AND would I enjoy drinking a slow cup of coffee with them? If yes, then YES! Think about all the facets of your life and business, and seek out communities that feel like a good fit. You might not find everything you need in a single community. Find Facebook groups, attend events, travel, work in the coffee shop instead of at home– whatever feels good. When you extend yourself, you’re more likely to find the variety of perspectives that will help you grow. Psst … don’t forget your real life. Last week, I finally walked over and introduced myself to the person who has lived behind me for the past seven years that I’d never met. In this internet-connected world, don’t forget what’s outside your own door. You never know who you’ll need to borrow a cup of sugar (or a bottle of wine) from. Work on your own $hit. When you feel that twinge of envy over someone else’s success, it’s not about them. It’s about you. If your communities are making you feel down about what you have (or haven’t) accomplished, check in with yourself. What’s making you feel less than? What do you admire about the person or program or course or whatever it is that’s getting you all green-eyed? The things we admire in people are traits we have hidden in ourselves; the things we’re jealous of in others are great indicators of what we actually want for ourselves. Use all that as fuel for your own work, and transform your envy to inspiration. If they can do it, it’s proof that it’s possible. Get it, girl. The very website where you’re reading this article is a perfect example: when you can’t find what you need — create it. What that looks like is up to you (it can be as simple as a few girlfriends you gather for a new book club or as big as a world-changing movement). We can be strong, independent, free-spirited and still we don’t need to do any of this — life, motherhood, entrepreneurship — alone. We’re better together, and it’s much more fun that way. 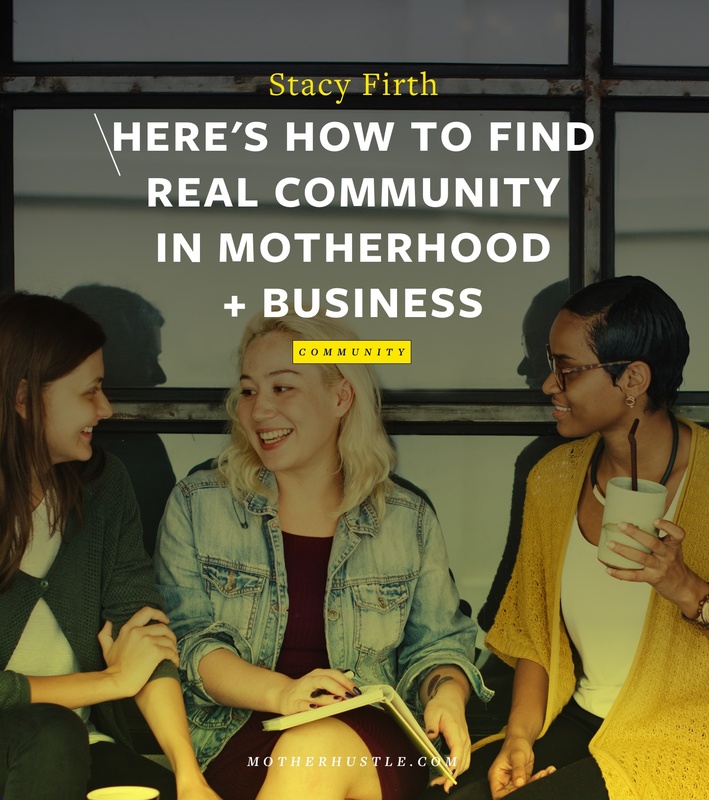 MotherHustle panelist Stacy Firth is a writer and content strategist who helps moms who are small business owners and solopreneurs create online content that keeps it real. She also leads workshops that help mamas lead a lit-up life, and is mama to two. You can find her on her website or on Instagram at @stacyrfirth.